Calcium is arguably the most important nutrient in your body. More than 99% of your calcium is stored in your bones and your teeth, which supports skeletal function and structure. The rest of the calcium in your body is used for other critical functions such as muscle contraction, blood vessel contraction and expansion, and sending messages through the nervous system. But even though it’s one of the most critical minerals for your health, most people are still not getting enough. In fact, one study suggests as much as 68% of the American population is calcium deficient. Adolescent girls and boys, women over 50, and men over 70 are at a particularly high risk of not meeting their daily calcium requirements. Menopausal women, vegans, and anyone with a dairy intolerance are also more prone to calcium deficiency than the general population. What is Calcium Deficiency Disease? Calcium deficiency disease, known as hypocalcemia, is a global health problem. People around the world are simply not getting enough calcium from their diets. This is particularly problematic in developing nations where food sources may be scarce. Osteopenia — Bone loss or bone thinning beyond the normal range is known as osteopenia. It’s a precursor to osteoporosis and is officially marked with a T-score between -1 and -2.49. T-scores are calculated as a part of DEXA scans, which measure bone mineral density. Osteoporosis — Excessive bone density loss resulting in a T-score of -2.5 or lower is categorized as osteoporosis. Bones become weak and brittle and put you at an increased risk of fracture. If your body doesn’t get enough calcium to keep its base functions running smoothly, it will leach calcium from your bones to make up for the shortfall. If this goes on for long enough, your bone mineral density will deplete to the point of osteopenia or worse, osteoporosis. Since calcium is so critical throughout the body, low calcium symptoms can show up anywhere. And they can manifest in many different ways. Calcium deficiency symptoms vary from mild to severe if left untreated. But even if you don’t have any obvious signs associated with low calcium, especially early on, metabolic changes and potential dysfunctions may have already begun. Want to share this on your blog? - Copy and paste the code below. The US Surgeon General warns that by 2020, 50% of people over the age of 50 will be at risk for osteoporotic fractures. That’s right — half of the entire 50+ population is at risk of breaking a bone. America is one of the top sufferers from osteoporosis in the world and the age to start getting concerned is getting younger and younger. Why you ask? Look at the following major governmental studies. From 1982–86 the US Food and Drug Administration (FDA) conducted the “Total Diet Study.” The study found several age and gender groups deficient in calcium, magnesium, and several other minerals important to bone health. In 1996, the US Department of Agriculture (USDA) completed its “Continuing Survey of Food Intakes of Individuals,” which corroborated the FDA’s study. The USDA found both men and women of all ages were deficient in calcium. The most shocking statistic was for teen girls; 87% were not meeting their recommended daily intake of calcium. The National Institutes of Health compares bone growth in children like depositing money in the bank for when you’re older. During childhood and into early adulthood, more bone is deposited than withdrawn as the skeleton grows in density and size. So the more you build up in your formative years, the longer you’ll have a supply to draw from as you age. But how can you know if you’re calcium-deficient? A 24-Hour Urine Calcium test is the optimal lab for people concerned about their rate of calcium/bone loss. Talk to your doctor about this test to establish your calcium baseline and give you an idea of how much more you need. Calcium deficiency doesn’t happen overnight. It can take years to manifest as physical symptoms, so by the time a deficiency becomes obvious, the damage is already done. This is a bit of an obvious one, but low calcium intake over a long period of time is a primary cause of calcium deficiency. How do you know how much calcium is enough? It’s recommended that adults over the age of 19 consume between 1,000–1,200 mg every day depending on your gender. Certain medications may decrease calcium absorption by interfering with your body’s ability to absorb nutrients. In particular, drugs like PPIs, lipid-lowering statins, diuretics, anticonvulsants, and corticosteroids have been linked to reduced calcium and vitamin D levels. For a more thorough look at drugs that can cause osteoporosis, check out our blog post on the top 12 prescription drugs that cause osteoporosis. People with a lactose intolerance or dairy allergy are missing out on a whole calcium-rich food group and may struggle to find enough adequate dietary sources of calcium. Gluten sensitivities and celiac often lead to inflammation and malabsorption of nutrients and the subsequent risk of bone loss. To help find calcium-rich foods that fit your lifestyle, we’ve created a guide to some of the best plant and animal-based calcium food sources. Vitamin D-resistant syndromes are caused by hereditary defects or mutations in the vitamin D receptor. Impaired vitamin D receptors can have a direct impact on the body’s ability to absorb calcium. Inherited disorders of calcium and phosphate homeostasis can also cause bone loss and calcium deficiency. Evaluating organ systems and hormone levels will help with the diagnosis process and guide treatment options. Calcium absorption refers to the amount of calcium that is absorbed from the digestive tract into your body’s circulatory system. Another term for this is calcium bioavailability. Calcium absorption can be affected by the amount of calcium in your body, your vitamin D, and K2 levels, your magnesium and trace mineral status, age, pregnancy, and even certain plant substances in your diet. The amount of calcium consumed at a time can also affect absorption. For example, the efficiency of calcium absorption decreases as the amount of calcium you consume at a meal increases. A good rule of thumb is to not take more than 500 mg of calcium at a time because the absorption becomes quite low on any amount above that limit. Infants and children absorb as much as 60% of the calcium they consume. But once you reach adulthood, your absorption slowly decreases to about 15–20%. If you’re only absorbing 15–20% of the calcium you are consuming, it’s difficult to get enough through diet alone. A decline in estrogen during menopause causes women to lose bone density more rapidly. Postmenopausal women have about one-tenth the amount of estrogen levels as premenopausal women. Meanwhile, low parathyroid hormone levels also impact your body’s ability to absorb calcium effectively. Calcium is and always will be crucial for bone health. But when it comes to strong and healthy bones, there are other critical nutrients that need to be taken with calcium for optimal health benefits. Calcium and vitamin D work really well together. When you take vitamin D, you increase your body’s ability to effectively absorb calcium. 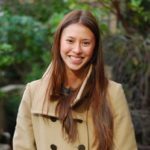 Lara Pizzorno, the author of Your Bones, says, “Less widely known is that vitamin D also boosts the expression of the vitamin K-dependent proteins. So when you take supplemental vitamin D, you are increasing the amount of calcium available in your body and therefore your need for vitamin K.” In other words, vitamin D increases the amount of calcium you absorb, but in turn, also increases your need for vitamin K.
Don’t mix this up with vitamin K1. Vitamin K2 has nothing to do with blood clotting factors. And it’s very difficult to get without supplementation. It’s not in leafy greens like K1 and is found only in tiny amounts in eggs and cheeses. Its main role is to regulate calcium deposition. Meaning, vitamin K2 cleans calcium deposits from your arteries and moves it to your bones. Talk about important! It’s reported that as many as 80% of Americans are magnesium-deficient! Deficiency of this mineral affects bone growth, bone fragility, and alters calcium metabolism and the hormones that regulate calcium. How is Calcium Deficiency Diagnosed? Hypocalcemia can be caused by low vitamin D levels leading to poor calcium absorption, or because of reduced parathyroid hormone function. Low parathyroid hormone levels lead to excessive calcium loss through the kidneys and reduced intestinal absorption of calcium. Because many symptoms of hypocalcemia are obvious, your doctor will first make a clinical assessment of any symptoms, like muscle spasms. One spasm in particular — Trousseau’s Sign, a hand spasm brought on by inflation of a blood pressure cuff — is a good indicator. That’s because it’s present in 94% of hypocalcemic patients and only 1% of non-hypocalcemic people. Longstanding hypocalcemia is associated with neuropsychiatric symptoms (depression, anxiety, euphoria, psychosis, etc. 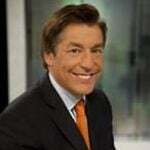 ), cataracts, and even intracranial pressure (pressure buildup inside your skull). It should also be noted that gradual hypocalcemia is less likely to have obvious outward signs than if your calcium levels are suddenly and rapidly depleted. Beyond observational diagnosis, your doctor will look at your blood work to check your calcium, vitamin D, and parathyroid levels. The most accurate vitamin D test is the 25-hydroxyvitamin D blood test. Optimal blood levels of 25OHD are 50-80 nanograms per mL. Your doctor will also ask about your medical history as hereditary conditions can play a role in developing hypocalcemia and osteoporosis. They may also recommend a DEXA scan depending on your age to assess your bone mineral density. Hypocalcemia is easy to treat and prevent and generally involves adding more calcium to your diet. But your treatment plan will ultimately depend on the severity of your calcium deficiency and should be discussed with your doctor. As far as prevention goes, it’s never too early to start. Focus on eating calcium-rich foods with plenty of bone-friendly nutrients. 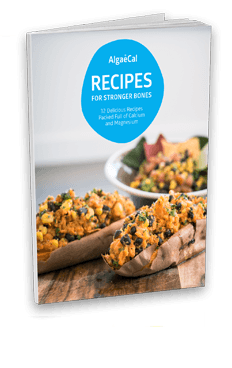 And definitely check out the recipe section of our blog for quick, easy, and delicious bone-healthy recipes the whole family can enjoy. After peak bone mass, which most people reach around age 40, you begin to lose 1% of your total bone mineral density each year. Your absorption of vitamins and minerals also declines as you age. That is why recommendations for dietary calcium intake are higher if you’re 51 and older. And yet, even with everything we know about the consequences of calcium deficiency, research shows that as much as 68% of Americans still have a low calcium intake. 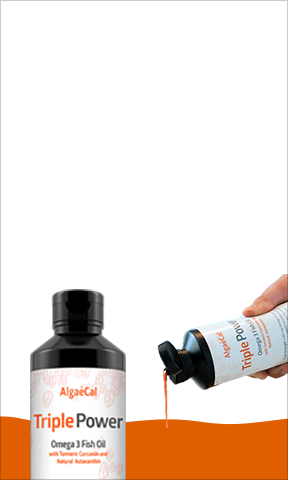 So to ensure you are getting enough try AlgaeCal Plus. 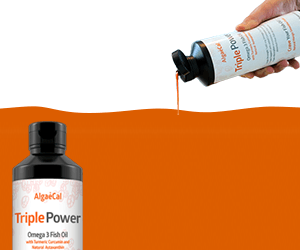 AlgaeCal Plus is a natural, whole-food supplement with the ideal blend of vitamins and minerals that work with your body to not only maintain bone density but actually build new bone. AlgaeCal’s plant-based calcium naturally contains all 13 essential bone-building nutrients and is specially formulated with vitamin D3, vitamin K2, and boron. It’s also the perfect supplement to continue taking through menopause and as you age. 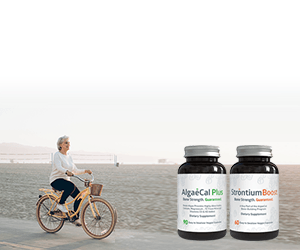 Unlike traditional calcium supplements and osteoporosis treatments, there’s no time limit on how long you can safely take AlgaeCal Plus. Hi. My 2 sons, now 13 and 7, both have been having severe growing leg pain when they were younger. My youngest still does once in a while. Over all these years, I have observed that anytime I tried to give them high quality Vit D3, they both would have their growing leg pain, even though they are always on the low average in their vit D blood tests. So this made me almost impossible to supplement them with D3 during the winter. My eldest at such terrible pain, especially evenings and night, that I consulted with him Pediatric Ortopedists + lots of integrative/functional medicine Doctors. No one has a clue and we were dismissed so many times: not a big problem for the kid, just give him an ibuprofen (like 5 days a week? Really). I have observed that supplementing them with Magnesium has been reducing the frequency, but does not avoid the problem all completely. If taken early in the pain, turmeric would work and calm b4 the pain would be too difficult. Nevertheless, not a single doctor was able to give us the slightest idea. Only my own observations helped a bit, but I’m still looking out for solutions, as I realized I do too can’t take too much Vit D. Indeed, I realize I do too get some pain in the legs if I take vit D3. My guts are telling me there is somethong related with minerals deficiency. Our nails are always brittle since we all take magnesium each night. So I wonder. Not very much attention is brought for this subject, whereas I hear lots of parents getting some similar concerns. Just wondering if you’re able to connect some dots for me. It sounds like this family’s genetics predispose them to osteomalacia due to vitamin D insufficiency, but supplemental vitamin D does not help. My guess is that this is because of genetic issues that affect their ability to metabolize and utilize vitamin D, possibly because it is being taken as a capsule, which is what I hope is the case because that’s an easy fix. In brief, I suggest they try taking their vitamin D in sublingual form to see if this helps. And please ask if they will keep us posted on how they are doing! Osteomalacia, which typically presents as bone pain and muscle weakness, occurs when newly formed bone is not mineralized in time during modeling (bone formation) in children, or when existing bone is replaced by unmineralized bone matrix (osteoid) during remodeling in children and adults. The main causes of this defective mineralization are a lack of needed minerals (primarily calcium). Calcium insufficiency results from insufficient dietary intake or insufficient sun exposure (not sure where this family lives or if they don’t get sun exposure because of sunscreen and clothing that covers too much skin) or lack of supplemental vitamin D, which as you know is required for our active absorption of calcium in the intestines. In this instance, vitamin D levels are low, but vitamin D supplements have not been helpful. One potential reason for this is that the genetic inheritance of this mother and her sons includes slow, less effective versions of the enzymes that convert D3 to 25(OH)D and then those that convert 25(OH)D to 1,25-D. They may also have inherited poorly formed vitamin D receptors, so the 1,25-D they do manage to produce does not bind well to cells, which is what initiates all vitamin D’s beneficial actions, including calcium absorption. When vitamin D is taken in capsule form, it will be sent from the digestive tract into the portal vein and delivered to the liver, where it will be processed by liver enzymes before it gets out into the systemic circulation. The liver is the primary place in the body where D3 is supposed to be converted to 25(OH)D, but enzymes that make this conversion are present in cells all over the body. If the liver enzymes are ineffective, and D3 is taken in capsule form, this conversion will not take place effectively. And that means that little 25(OH)D will be sent into the bloodstream and flow through the kidneys, which is the primary place where the enzymes that convert 25(OH)D to 1,25-D, the active hormonal form of vitamin D that is the only form in which this nutrient helps us absorb calcium, is produced. Again, the enzymes in the kidney that do this job are found in far smaller amounts in cells throughout the body, although the kidney is the primary place where this conversion occurs. Also, other enzymes in the liver and kidneys have the job of clearing out vitamin D. It’s also possible that this family’s genetic inheritance includes fast versions of these – that would also greatly impair their ability to maintain optimal levels of vitamin D and to absorb and utilize calcium. 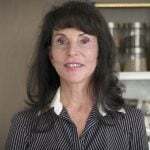 Try taking sublingual vitamin D – here’s a link to the product we use and recommend: https://www.bioticsresearch.com/node/1570 Each drop provides 2,000 IU of D3. If they are taking AlgaeCal Plus, which is HIGHLY recommend since they need everything it contains, including the trace minerals, which are very important, they will be getting 1,600 IU of D3 daily from that (but in capsule form). Still, to err on the side of safety, I suggest they take just 2 drops of sublingual D3 for 2 months and then retest their 25(OH)D levels. This is the easiest, least expensive thing to try and may completely fix the problem. 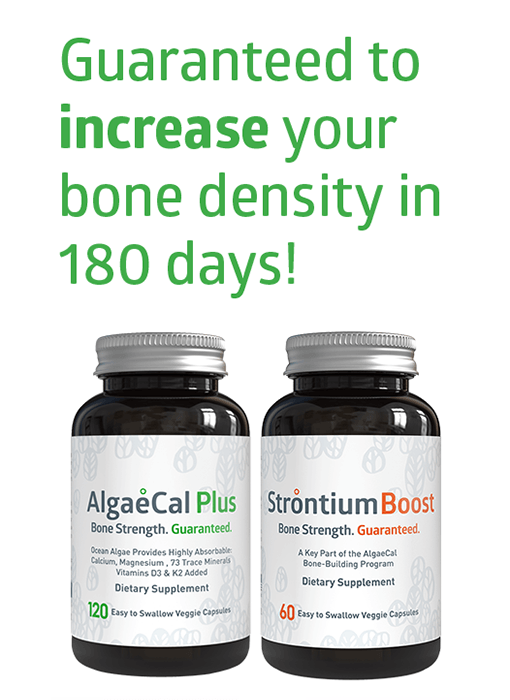 In addition to AlgaeCal Plus, they should be using Strontium Boost because strontium boosts calcium absorption, primarily due to its effects on the Calcium-sensing receptor – they can read about this—and a number of the other ways in which strontium improves healthy bone formation — in my post on strontium here. And, of course, at least 1,200 mg of calcium should be consumed daily – AP will be giving them 720 mg, so at least another 480 mg needs to be provided by their diet. Triple Power (TP) should also be taken – 2 TBS daily when pain is present. TP contains a significant dose of the active component in turmeric, which is called curcumin, in highly bioavailable, emulsified form. TP also provides EPA/DHA which are essential both for the resolution of inflammation and for the production of the mesenchymal stem cells that develop into osteoblasts. If they have not had their genomic profiles run, I urge them to do so! 23&me is one of the less costly options. They need to not just get the “ancestry” option, but have the full profile run. Once they have their “raw data” file, a number of AI tools are now available that can analyze the results – including our AI system, but we are not yet offering our system to the general public. I hope we will be doing so in 6 months as cost will be low, and it will become accessible to “normal” folks. At the moment, they can work with a doctor trained in genomics who can help them understand their raw data, but it’s expensive. 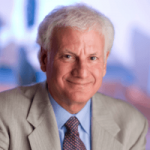 Once they know which of the enzymes involved in vitamin D metabolism and/or the vitamin D receptor are not working well, treatment plans can be optimized. I’m sorry to hear about the back pain you’re experiencing. It’s important to first discover the underlying cause to this pain — have you had a chance to work with a functional doctor? We recommend looking for a functional doctor through “The Institute for Functional Medicine” and look for ones in your area that are IFM Certified Practitioners. 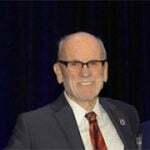 Practitioners who go through the entire IFM certification process are truly dedicated – it takes a couple of years to complete, many in-person 4-5 day seminars, at least 1,000 hours of study, and a certification exam that rivals the exams docs take to get their medical license, plus the cost is high, both in terms of time spent and conference and seminar fees. And the doctors are doing this in addition to their medical practice! True dedication to providing the best care. To find an IFM certified practitioner click here and select only show IFM certified practitioners. So sorry to hear about the cramps your son is experiencing, Latonya. It sounds like this could be a possibility but it’s best to work with his doctor to determine the underlying cause. You may find it beneficial to work with a functional doctor. We recommend looking for one through “The Institute for Functional Medicine” and look for ones in your area that are IFM Certified Practitioners. I don’t know if I am calcium deficient but 2 yrs back I lifted heavyweight and from that time, my back hurts a lot, when ever I do jumping or any exercise like that..is this can be a sign of calcium deficiency because all those symptoms mentioned above totally defines my condition.Sometimes I cant even sit properly or bend (often) plz reply.sorry the poor English. We’re so sorry to hear that, Shalini. It’s best to speak with your doctor to determine if calcium deficiency is causing your back pain, or perhaps something else. We’re so sorry to hear this, Suman. It’s important to work with a doctor who can help determine any underlying causes to what you’re experiencing. We recommend looking for a functional doctor through The Institute for Functional Medicine and look for ones in your area that are IFM Certified Practitioners. If you have any questions please feel free to call us at 1-800-820-0184! Thanks for reaching out, Biju! So sorry to hear about your ongoing symptoms. It’s best to work with your doctor to determine what’s causing this for you as there are many different causes which need to be treated differently. 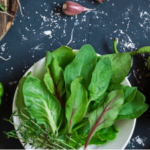 For example, calcium deficiency can be caused by a lack of calcium, prescription medications, malabsorption, parathyroid issues, and more (listed in the article). Hopefully this information helps facilitate a discussion with your doctor! Can you still take this algaecal with regular multi vitamin daily? • You’re getting all of the vitamins and minerals your bones need from AlgaeCal Plus and Strontium Boost. But you can still take a multivitamin if you’d like — just make sure it contains less than 300 mg of calcium (since you’re getting all the calcium you need from AlgaeCal and your daily diet). • A general rule of thumb is to take any other supplements containing calcium, magnesium, iron or zinc 2 to 3 hours before or after your AlgaeCal. This will help limit any potential interactions and ensure you receive maximum absorption from all your supplements. For more information on how to take AlgaeCal check out this post. I was diagnosed with osteoporosis in my early 50s. (I’m 68 now) I did the prescribed medications – one of them made me deathly sick but they did not really stop or reverse my condition. I started the AlgaeCal about 2 years ago. This supplement along with a better diet and weight training resulted in me going from -3.5 score to -2.4 – in other words, from osteoporosis to osteopenia!!! My doctor was AMAZED! He was so sure that I was just going to get worse when I stopped taking prescribed medication. Will never be without AlgeCal! I am curious about how you would monitor the increase in bone density with Algaecal? Also, are there experts in osteoporosis in the USA where one could consult? Thank you. Changes in bone mineral density are based on before and after DXA scan (bone density scan) results. We recommend looking for a functional doctor through The Institute for Functional Medicine for an IFM certified practitioner in your area here – these are doctors who have gone the extra mile to do additional courses and certifications on top of their medical practice. You can also reach our Bone Health Consultants by calling 1-800-820-0184 or emailing [email protected]. Hope that helps! Great question! We do provide some of our raw material for other companies to use in their own formulations, including Garden of Life. Although many of these formulations will have a similar makeup, including things like vitamin D3 and K2 along with their own blends of fruit and vegetable extracts; AlgaeCal’s proprietary blend of vitamins and minerals combined with our unique algae, make AlgaeCal the only calcium supplement on the market that has been proven time and time again to show a measured increase in bone density! We have 3 human clinical studies that have all been peer-reviewed and published in respected journals, and you can find them all here. In contrast, other calciums may simply slow down the rate of bone density loss. AlgaeCal is also the only calcium supplement guaranteed to increase bone density. You can learn about our guarantees here. In looking at my bone density report, there is a T score and a Z score. The T score compares to 20 and 30 year olds while the Z score compares to people closer to my age. I am 66 so being compared to 20-30 year olds—-I don’t see the point. I have ordered my algaecal and I am hoping I can get better scores on my next scan. We definitely understand how this comparison can be a little confusing! We explain the reason your T-score is a better indicator of bone health here (as opposed to a Z-score). Feel free to let us know if you have any questions throughout your bone health journey! We’re always here to help. I recently read an article from 2013 that women taking calcium and vitamin D is not helping their bones. It also advises those women to go on medication that their doctor reccomends. I have osteoporosis so this is a huge concern for me. Can you tell me if this is true? 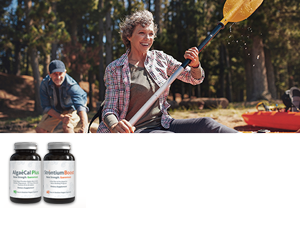 AlgaeCal takes a multi-nutrient approach that provides your bones with all of the vitamins and minerals they need to strengthen, without the need for harsh prescription medications. You can learn more here. Please send information on this topic regularly. A well written article. Thank you. I ve been using Algae Cal and the Strontium Citrate you all sell as well for the past six months. I hope to see increases. Regarding Parathyroid Hormone having too much cause depletion of bones as well. I had two parathyroid tumors removed in 2015. Tumors produce too much hormone and cause bone destruction. Good thing is we have four parathyroid glands and when two bad ones were removed the sleeping one wakes up and produces just the right amount of hormone. Bone building with supplements and if my -3’lower Back has not improved I may have to get prescription from doctor. I am trying to keep my Algae Cal supplement regime and exercise too. Thank You Again for communication it helps alot! Can I take Algaecal on empty stomach.? Will it be absorb just as well as when taken with food? Good question! While you can take AlgaeCal on an empty stomach, we recommend taking it with food for the best results. Having food in your stomach helps to stimulate stomach acid production and increase solubility. For more information about how to take AlgaeCal go here. Will this product upset my stomach??? Good question. The majority of calcium supplements are rock-based, so it’s no wonder they are not well tolerated and can cause stomach irritation! AlgaeCal is different. 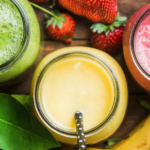 It does not cause an upset stomach because it is plant-based calcium, so our body recognizes it as food, similar to broccoli, spinach, and other leafy greens. If you’d like to learn more about the difference between rock-based & plant-based calcium, check out this blog post: https://www.algaecal.com/expert-insights/plant-based-calcium/. According to my research, calcium supplements are poorly absorbed, and precipitate into soft tissues, joints, organs. Seems to be an almost certain path to disease, especially if one is magnesium deficient (and seemingly everyone is). It’s great to hear you are doing your research! You are right, the majority of calcium supplements on the market are rock-based and unfortunately can cause side effects including kidney stones, artery calcification & soft tissue deposits. AlgaeCal is very different, in that it is a natural, plant-based calcium supplement that takes a multi-nutrient approach to replenishing bone health — the right way! Because AlgaeCal is a plant, our body recognizes it as food, just like broccoli, spinach, or kale. We have also added proven bone-building vitamins and minerals like Vitamin C, Magnesium, and Boron, making it the most complete calcium supplement on the market. Two more important nutrients in AlgaeCal are vitamin D3, which helps with calcium absorption, and vitamin K2, which transports the calcium where it needs to go — into your bones and away from soft tissues. Let us know if you have any questions, Doug! You can also email [email protected] or call our Bone Health Consultants at 1-800-820-0184. Peak bone mass occurs at age 30 not 40 as this article states. Thank you for taking the time to comment! You’re absolutely correct; most women reach peak bone mass by the age 30. We are referring to the next stage in bone health – where around the age of 40, we start to lose 1% of our bone density each year. We appreciate you bringing this to our attention, we can definitely see how the way it was written may have been confusing, and we will make sure that is corrected. Please let us know if you have any questions! Can u order this by chk.? My husband won’t let me use a debit or credit card. He will only let me pay by a personal chk. or a money order or cashiers chk. Does Oxalic Acid In Spinach Inhibit Calcium Absorption?